I thought summer ended a few weeks ago. That pool parties were over. We wouldn’t see non-famous celebrities in bikinis. Well, I was wrong. Azure Pool at Palazzo was still open this weekend. But, now they’re closed. Their closing party was hosted by Christina Milian. I’m not sure how famous she is if I don’t even know who she is after reading her wiki. Whatever, she’s a girl in a bikini. Check Vegas News for more info and pictures of Christina Milian. We think bikini clad celebrities are done for the year now that Azure Pool is closed. First things first – I find wax museums and wax museum replica humans to be super creepy. I almost passed up on sharing this, but I figured if a wax figure of Fergie from the Black Eyed Peas creeped me out, maybe it will do the same to someone else. If you’re into wax museums, you can catch Fergie and other creepers at Madame Tussauds Wax Museum at Venetian. If we ever play hide and seek and you want to win, just go to a wax museum. I’ll never look for you. Check Just Jared for lots more pictures of the creepy real and fake Fergie. No Pee Pee In Your Linq Pod! I said that I wouldn’t expound about The Linq until Caesars Entertainment broke ground on the project in Las Vegas. Although I’m technically writing about The Linq, this isn’t so much about The Linq as it’s about the Ferris wheel pod that’s planned to be anchoring the project. A ride on the Ferris wheel should take around 3o minutes and that will cost you about $20 from what I’ve read. The Linq is seemingly aimed at the mid-level Vegas vacationers. Those are the people you’ll see walking up and down (clogging) the Las Vegas Strip with yards of fruity alcohol beverage wrapped around their neck in guitar or Eiffel Tower shaped container. Last week Vegas Chatter peaked on a chat with Caesars Entertainment to confirm something fairly obvious, but kind of gnarly. There will be no way to go to the rest room if you need to during the 30 minute ride. Is there bathrooms inside each pod? When your up in the air having cocktails, You need a bathroom near. Not 100% sure but pretty certain the pods on the High Roller will not have restrooms. So, potty before pod or else you’ll be thinking about wee wee all wheel long. Considering a good portion of the customers for The Linq Wheel Pod will be family’s with children or drinkers this poses a small problem. Kids and drinkers both, often, have problems holding their bladder. 30 minutes is a long time to hold it in. If The Linq ever gets off the ground we have to expect that the rides will be shortened or there will be a lot of money spent cleaning up their fancy new ride in a couple years. Walk of Shame? Run of Shame? Over the weekend CNBC sports news reporter, Darren Rovell, posted a picture of Puma sneaker display promoting “Run Your Walk of Shame.” The “Walk of Shame” is nothing new, but this reminded me about a story on Vegas Chatter a couple of days ago on how the walk could be worse at a casino in Las Vegas than other places. I think it’s would be a lot worse walking across a college campus where you will see the same people again daily but I’m a dude, what do I know? Either way, this is a fun promotion that clubs in Vegas can certainly get in on. While not The Walk of Shame the clubs and Puma could surely sell some sneakers to Heel Rats around town as their appearance is weekly and there are many. I stayed at Flamingo for the first time last weekend and it was awesome. The casino was much bigger than I thought and there were plenty of food and drink options. I’ll get a review up shortly, but you can check some pictures on my flickr. The weekend started with a short visit to Caesars Palace for an “Absinthe” tweetup (aka twitter hang). Most of the cast showed up and put on a short performance. I haven’t seen the show yet but reviews have been almost all really positive. The show has one person that’s considered a “star” and that’s Angel Porrino. The appeared at the tweetup and the next day she evidently was at Flamingo hosting a party at the Go Pool. I was feeling a little hungover and took a walk outside in the afternoon and could not believe there was a line to get into the pool. I’m not sure if it was because Angel was there or if that’s a Saturday afternoon hotspot. All I know is that the walk didn’t get rid of my hangover. Having seen Angel Porrino in person at least 3 times I have to say she’s very pretty. I haven’t seen her perform in Peepshow or in Absinthe, so I’m not sure she has any talent. I’m not sure that really matters. By the time I saw the clip of the video of a dude beating up Batman on the Las Vegas strip, I was already bored by it. As soon as anyone saw it someone would pass the video on with some kind of comment. Some funnier than others. 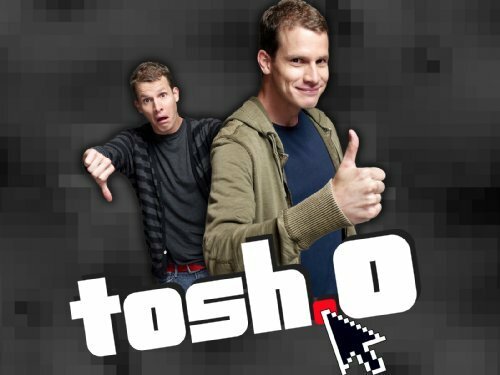 Last night on Tosh.0, Daniel Tosh broke down the video with some funny commentary. I know I’m not funny, so I’ll leave the fun to the professional.